For most people, losing a beloved dog is like losing a family member. For pet parents, losing a fur baby is like losing a child. It hurts, and it often feels like there’s a void that big enough to swallow the sun. The grief, emptiness and sadness one feels during the loss of a dog can be profound. Whether it’s a friend or family member dealing with a recent passing, your job is to be there to support them during the grieving process. Here’s how to get it done the right way. When someone you know loses a dog, empathy goes a long way to helping them cope. Sometimes, it gets awkward when you don’t have anything to say to a person dealing with a loss. You can start by saying something comforting and generally accepted. “I’m so sorry for your loss” or “My condolences” combined with sincere empathy and compassion you feel for the person goes a long way. People can tell if you’re faking it, no matter how grief-stricken they are. Remembering those who passed away allows them to live forever in our hearts and minds. This is a beautiful message from the movie Coco. You can help a grieving pet parent by taking it upon yourself to memorialize the loss. Help to plan a pet memorial. Donate to dog products or money to an animal shelter on behalf of the dog. Send flowers and a personalized sympathy note. Plant a tree in the backyard or nearby park to honor the life of the dog. 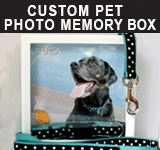 Frame a beautiful photo of the dog and give it as a gift to the owner. 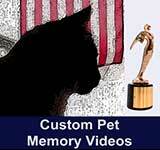 Look for some videos and create a mini-movie celebrating the dog’s life with the owner. Help arrange a memorial service. Dogs are like people, and when a person loses one, the grief will be unimaginable. In situations where someone suffered a loss and is clearly hurting, it is sometimes better to just let them talk. Lend them your ears and really listen. Allow them to let it all out. By listening and not interrupting, you’re letting the person know that you’re there. Avoid butting in or making the conversation about you. Don’t say “I know what you’re going through” because you don’t. Everyone grieves in their own way. If you need to say something, try to liven up the moment by remembering all the funny moments you shared with the dog. Like when Fido was zooming around the house and skidded to chewing something he wasn’t supposed to. Start by saying “Remember the time when…” and add a fun memory. You have to be sensitive to a grieving person’s feelings. Remember, everyone is different. You may not understand why a person gets so hung up on a pet dog. Maybe you never had a dog. If you can’t relate or have strong opinions, please keep it to yourself. It’s mean, insensitive and callous to say “It’s just a dog, you’ll get over it” or “When are you getting a new one?” or the all-time favorite “He/she’s in a better place.” These lines don’t work, even if your intentions are good. People sometimes get paralyzed because of a loss, all they do is grieve and feel sorry all day long. Show a person who is dealing with the loss of a dog you care by lending a hand. Bring him food or whip up a batch of her favorite cookies. Suggest a movie night or some dinner. Offer yourself for walks and helping with chores around the house. Sometimes, a toy or bowl can bring on painful memories and a flood of sadness. If a grieving pet parent is finding it hard to put away some old toys, blankets, and other stuff, ask if you can do it. These activities may help your grieving friend temporarily forget about her pain. By keeping her engaged and occupied, you can lessen the impact of the loss. When a pet parent loses a dog, she will go through all the stages, and then some. Please be patient and let the grieving process run its course. Don’t rush someone who just lost a pet dog into anything because she may not be ready yet. Time heals all wounds. The initial stages of grief will pass, and there will be acceptance. You can show your love by being there every step of the way. Why do some people grieve the way they do when their dog dies? It’s because dogs become part of the pack. Our families. Our lives. That’s why daily routines and future plans get put on hold when a dog dies. More often than not, dogs become a part of the family and get as much love as everyone else. There’s an unbreakable bond that forms the moment a pet parent takes in a dog. This bond is special. Which is why we all need to respect the feelings of people who just lost a dog. Show empathy, show that you care, and always listen. Sensitivity and kindness can go a long way in making a person who’s suffered a loss feel better.